This Homemade Tomato Soup was our January taste test recipe in the Park City schools. To say it was a hit was an understatement. The kids and staff alike were coming back for seconds. 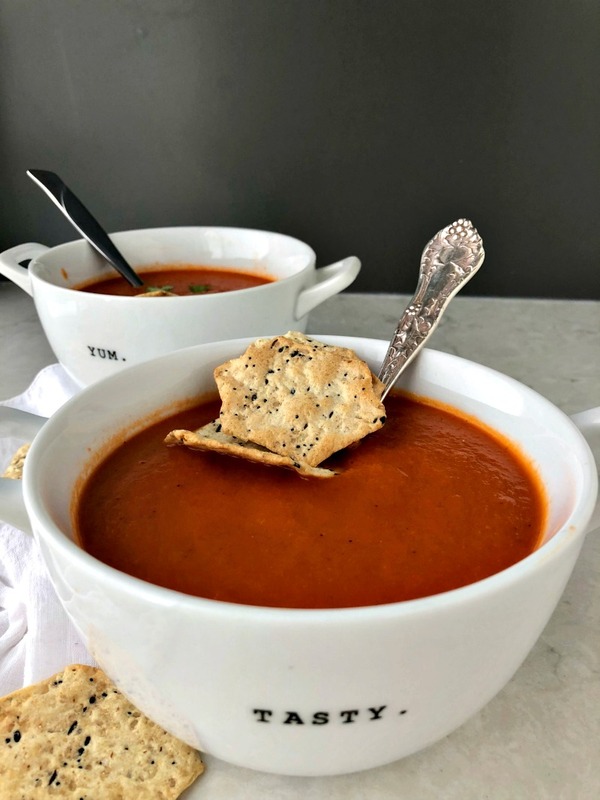 Serve this soup with a warm, gooey grilled cheese and you’ve got an easy, delicious, weeknight dinner that the entire family will love! Heat olive oil in a medium sauce pan. Add minced onions and sauté for about 5 minutes until soft and translucent. Add tomato paste, diced tomatoes, and vegetable broth; stir. Bring soup to a simmer and cook for 20 minutes. Add basil, garlic powder, thyme, salt, pepper, and cayenne if using. Using either an immersion blender, food processor, or stand blender to puree the soup until smooth. Adjust the seasoning if necessary and serve warm.